the word – Page 81 – Put the Pen to the Paper! Ever hear people who are either unemployed or looking for work while on a job say they want to make good money. What exactly is a good job or good money? We all have a different perspective on what that means, but no one can define it in an entirety. So when I hear people say they need a “job” making “good” money I pause. For me, I am currently pursuing my goals of becoming a successful writer (screenplays, playwrights, novels, and blogger), filmmaker, photographer, and podcaster. I would like to make at least $60,000 per year as a start to work for myself. I have given myself 10 years to break into my career as a writer/filmmaker. I am currently at year five almost six. And there you have it, a nice basic understanding for what my goals are in a career. But I always hear these very vague ideas of what it is that people want from life. I said in an earlier post that adults who need jobs are like crying babies. You can’t communicate with a baby when it’s crying because the baby can’t talk. Only problem with adults is that we can talk. And unlike the baby where you have to give the baby milk, rock the baby, and do all these activities to guess the problem, it’s not the case with adults. A fully grown adult should know more than a baby their problem that is bothering them. And that is the problem with the I need a good paying job inquiry. What job? Paying what? What time period to get to that point? What is your level of expertise? Is this something you really enjoy doing? Do you have the stomach to build in your career choice? So many people don’t know the answers to any of these questions because they lack self-awareness. And that is the main problem. Because when trying to look for employment, you have to first acknowledge the skills you possess. You can’t just say I need a job and expect people to know your skills. I know what I am good at in this world. It’s not my job to know your strengths and weaknesses. It’s not my job to give you a certain level of skills. Your job is to show me what it is you can do. That is what I mean by self awareness. By a certain age, you should have some level of degree to which you know your skills. That’s why the whole find a job, get a job is very vague. If I realized that my skill is writing, then I am going to pursue my writing career. If there are other skills I have, I’ll pursue those as well. You should pursue whatever you find that is a skill of yours that you not only love, but in the long term can make an income performing. In the end, not having a firm understanding of who you are is going to be the defining outcome. If you don’t know what you are good at then who does. It’s your brain, you know what your mind wraps around. And if your mind does not wrap around the concept of anything, you’re not going to be hired even if someone was offering jobs. You should know to some degree what career title you want, income associated, and years to rise to another position. And it all comes together in knowing how to put yourself in the know of whatever it is you want to do in life. Just this past week, I had the opportunity to test a VR (virtual reality) headset that someone I know designed. 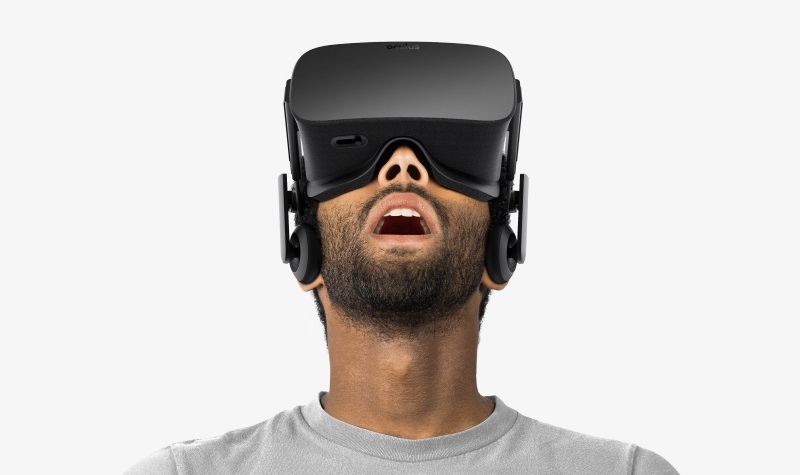 And just by observing through this headset, you can feel how much life is going to change once the technology is really to scale. You’ll get a chance to experience life in the past through the use of this headset. Meaning, technology will be so good that we can recreate moments of the past and live them through these innovative machines. Not just the technology, but what will the state of relationships look like by this time. If I live to 90 to 100 years old, you are going to have people who have been married for 40, 50, and 60 years who met on Tinder or some other dating site. It sounds crazy today, but will be totally fine in the future. Members of the LGBTQ community raising children and adopting will be a non-conversation point. And I will be of a generation that has experienced what we read about in books. That means I will be old enough to have gotten a chance to vote for America’s first Black president. Which most likely by this time will have been so much of an after thought that the conversation will be archaic. I will have remembered when the White House was illuminated in the rainbow colors to mark the day when gays had the right to vote. I will remember events that took place that rocked the country such as September 11th terror attacks and even the Oklahoma City bombing which claimed the lives of so many young children. Natural disasters such as Hurricane Andrew, Katrina, and Sandy. I will be one of the last generations born in the decades known as the 1980’s and the generations born who remember the 1900’s as a century in time. I will even remember the first social media ways in which we first started to communicate. Meaning, I will be the last of the age group who remember when the internet was created for the public. In the end, living on this planet for a long time gives you a sense of understanding about civilizations that no one else has experienced. What everyone else had to read about, you lived through and witnessed. So you will become almost like a form of entertainment for people to come and ask questions. People will also on average live longer, so there will be more centennials than any other time period. Now I can’t guarantee that I will be that age upon death, but what a time a Earth that must be to experience so much in life. The above photo is of sports journalist Jemele Hill of ESPN. She recently came under fire for her comments aimed toward President Donald J. Trump. She stated via her Twitter account that she felt President Trump was not only a voice for White Supremacy, but a member of their organizations. It sparked criticism enough to catch the attention of the United States Press Secretary Sarah Huckabee Sanders who stated that Jemele’s comments were “fireable.” Even the president himself felt that she should be relieved of her duties for making such comments about him. And it must have struck a nerve with someone because ESPN issued a statement regarding Hill’s comments directed at the president. So they must have really taken issue to the comments that Jemele made to put out a statement. Or was there another reason they decided to issue a statement regarding her (Hill’s) comments. 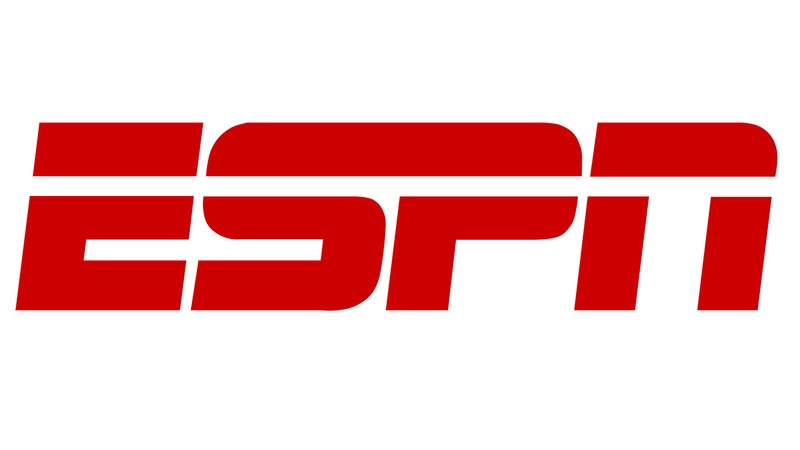 ESPN is a multinational cable television provider of worldwide sports. And as a company owned by Walt Disney, they are aimed at trying to maintain a certain level of decor on their television programming. Now, Hill has her freedom of speech, but ESPN has the ability to take a stance as well. Meaning that if they truly wanted to, they could fire her. Not on grounds of what she said because that violates her freedom of speech. But if they feel what she said could cost them in monetary damages then they are in their full right to let her go. Now, those in Jemele’s corner might say she spoke the truth, but here is what you don’t realize. You represent the brand that is ESPN; and while under that brand you have to abide by their rules and regulations. Meaning, if politics are to not allowed then you don’t discuss politics. But if they are allowed , the speech has to be in alliance with company regulatory measures. It sounds unfair, and it is, but that is what happens when you work for a company. You see, prior, Jemele and her colleague Michael Smith ran a podcast show that became popular. And that popularity opened doors for them in much more lucrative and diverse business environments.But with that bump in exposure comes the rules when playing the game at that level. And what you can say and do on a podcast is not the same as when you are representing a brand like Walt Disney. Yet many still feel she should be able to express herself because it is her rights. And once again, here is where you are put into this weird trick basket which is why people don’t voice their opinions. You can freely say anything you want; but it’s an organization’s right to fire you if you don’t align within their company policies and/or cost them in monetary damages. And a lot of the sentiment in the sports world is still stemming from the fact that former NFL quarterback Colin Kaepernick was shut out of football for choosing to not stand for the national anthem. A move against him that has even sparked protest outside of the NFL’s headquarters in New York City. So with so much going on, it’s no wonder they are trying to distance themselves from her statements. But in the end, Hill is still an employee of ESPN. So for now it’s a waiting game to see the final decision. And as much as I agree with freedom of speech, you have to be willing to also take the lose from a company not willing to continue to do business with you. Do you have mood swings that cause you to cry at times out of nowhere? You’ll be performing some task, or even casually walking up the street. I had one of those moments today while at work. And to keep people from asking what’s wrong, I turned my back to them. But now that my shift is over at work, I had forgetton about the instance until now. So what was it that made me go through this moment of emotional low? Is there some sort of imbalance in life? Or, is it a sign of something deeper? It can be uncomfortable to tear up out of nowhere. Because when someone asks what’s wrong, you can only say nothing. Making up a lie will only mean creating a new lie at every pass. So you have to ignore people until you get over this emotional low. What’s even creepier at times is that you conjure up an image at times that never took place. And then you might cry just thinking about what if it were true. For example, you play out a scenario of yourself getting sick and breaking the news to your family. Then you cry just thinking about all the people that would get hurt by your sickness. What’s creepy is that you’re not sick. You just made it all up in your head for the sake of feeling hurt about something. Sounds like some sort of mentally ill sickness. And you would be right, but this is uncomfortable for so many to talk about because there is a psychological aspect to it. No one wants to think of themselves as crazy, but what could it be? Why would anyone want to cry for the sake of crying even when life is going well? I have a few suggestions as to why. One of the reasons we lean on emotion is because we may lack emotions at times. This forcing yourself to be emotional even at irrational times makes us feel alive. I know I am not someone who shows a lot of emotion. So I’ll think of a strong memory, and from that comes tears. But it does not always have to be about feeling hurt. Some times you might find yourself crying about something good that is or going to happen. You get this weird euphoric feeling and then comes the tears. I have also had this before in my life as well. And all these different emotions like I said prior have some type of psychological implication connected to them. In the end, emotions are real and they are what make us feel alive. No matter if the emotion is brought on by hurt or pain; or if you get the feeling to rejoice. And rejoice is interesting considering we always associate crying with feeling sad. But don’t be alarmed regarding your mental stability. Involuntary crying is more natural then you think. In the year 2011, right after undergraduate school, I moved to New York City. Coming here for graduate school from Kenosha, Wisconsin was a new experience. You go from living on a rural campus to a major metropolitan hub. Yet graduate school wasn’t the only reason I decided to make the leap out on the East Coast. Another reason I chose to move to the East was because I needed to also be in a city where I could pursue my goals the best way I knew how to do so. And I also wanted to shape my identification. Growing up for me in a household where I was not only the only boy among siblings, but male in the house. And there are certain aspects of being a man that my mom and sisters don’t quite understand. So in my mind, it made perfect sense to create a whole new identity for myself and pursue my goals. So I ask you, is there ever a moment in your life where feel you need to getaway to grow in life. Now don’t get me wrong, you are suppose to leave an environment in search of something better. Not run away from problems that you perceive to be external, but are really internal. Because internal problems only follow you wherever you go. I am referring to you having to leave because what the world has to offer you elsewhere is far too great to stay where you currently reside. And that could mean better schools, a better job, and overall better existence. For example, I come from a small city with a population of about 75,000 people. And now living in New York city, there are three to four times that many people in my Harlem neighborhood. So it has been a major leap in me getting acclimated to the city. But luckily for me, I have been here almost six years. As for me taking the leap and living in a more open and conscious city, my mind has grown with it. So my writing has improved since leaving my small town. Now, does that mean I encourage everyone else to do the same; no. I just feel for me, the borough of Manhattan has an energy that inspires me to write everyday. Some days I will just walk around the high populated areas just to get in a mode and come back to the computer lab and write. So for you, a small town might be the place for you to push out the greatness that is inside of you. But moving away gives you a different perspective on how other people live their lives. You are given an open door into how others different from you think and feel. This may aid in your endeavors whatever they may be, to propel yourself forward in life. In the end, moving away forces you to mature at a quicker rate than if you were at home. Because even with a support system back home, you have to step up to the learning curve quick. For me, coming from small town Midwest and now in the Big Apple, you grow fast. If you don’t, you sink fast. The city will swallow you up and spit you out. And it is a true testament to how resilient you are in life. At times you might figure, why bother trying to succeed in what it is you want to do in life. I should just get a day job and do that for life. There is no use trying to push toward something to only be let down in life. Yet if you don’t do anything with your life you will ultimately fail anyways. So why not push yourself to do well with the hopes of a successful outcome. And the main reason is that people don’t want to deal with the idea of failing. So we choose our paths in life that gives us the most safety. But safety and security is not necessarily the path that will lead to us being the best us. A safe secure life usually means lower to mid range pay and little to no time off of work. And that is not a life so many people want, but wind-up having for themselves. And for the people that are willing to put the time into making themselves better, they generally are put into positions higher than those that don’t work at their future. And that’s another aspect of why people find it hard to work at their craft and play life safe. Putting the work into your future requires a lot of alone time to reflect and plan. Then you also have to take what you have planned and put it in motion. That’s where you see the difference between the people who can talk a good game, and those that actually go into the world and do. And the ones that do nothing, generally end up not doing anything in life. But what are some other reasons people tend to do nothing and play life safe or fail to succeed at anything. In addition to the above reasons we choose to do nothing because of the outside influences. The people who say what you’re doing you’re not good enough. They are the ones that either don’t want you to succeed because they weren’t good enough; or they can’t bear to see anyone outshine them. So they try to knock you down to keep you from trying, and maybe succeeding at what they failed to accomplish. So with them as influences, you become in doubt, and soon give up on your ambitions. And this is when you make your fatal mistake. See, the end, it’s not about trying to impress the people around you. You are supposed to run your race in life. You also don’t want to not try out of fear of failure. Because the cost of doing something might overall be less costly than doing nothing at all. Walking up the street, a White woman grabs her purse as I walk by; I instantly go into a space. A White man or woman tell me I look like someone they’ve seen before, then I go into a space. I am walking through the store, a White man or woman is following close by, I go into a space. And that is that; what is it about the United States that still makes me go into this head space of, “Did they just do hat because I am.” And it has a lot to do with this unspoken relationship that the two ethnic groups still have in America. An event takes place that we both witnessed before our very eyes, and yet we have multiple perspectives. Now, this already happens with humans as it is, but we are two groups that see things so differently. I remember when former NFL running back O.J. Simpson was found not guilty of murdering his wife and her friend. The faces of White America went straight to shock while the faces of Black America went to rejoice. But this is not something that was agreed upon by the two groups. This was automatic, and it was swift. Neither of the two groups sat down among each other or separate and had a meeting. There was nothing of the like; everyone just knew how to react when it happened. I was only in elementary school when it happened and I remember the faces. Teacher at my school were enraged, and the people in the surrounding community where I lived was happy. And what formulated out of all this was one man’s life dictated forever and two innocent people dead. And that is the weird and uncomfortable relationship that is Black and White in America. We all know the history, but this goes deeper than the past. It’s so disturbing how it effects you internally when you come across someone from another group. I’ve even asked myself like, “Wow, where in the hell did that come from?” Me speaking to myself, then you stop yourself in your tracks. But people who are unfamiliar might say, “Well why feel that way?” And reply is that I don’t. It’s as involuntary as sneezing. Meaning a situation can easily go from zero to sixty where the processing of what is going on takes place after the fact. I, still to this day have a hard time making eye contact for instance with a lot of law enforcement as t pertains to that weird racial dynamic. It’s almost as if the person doesn’t exist, until the person is no longer in my presence. Because in the end, the relationships are uncomfortable because no one expresses how they truly feel to move forward. America is an ignore it and it will go away country. Which is not how it should be dealt moving forward.